Yahoo has begun legal action to demand the right to disclose the number of user data requests it receives from US national security agencies. The internet firm is among several large technology companies trying to distance themselves from the Prism internet surveillance programme revealed by whistleblower Edward Snowden in June 2013. Yahoo’s suit in the US Foreign Intelligence Surveillance Court (FISC) comes just days after the firm published its first report on the overall number of government requests for data. Google and Microsoft have published similar so-called “transparency reports” since Snowden’s revelations about Prism. But the report numbers include all requests made for criminal law enforcement and national security under the controversial Foreign Intelligence Surveillance Act (FISA) and National Security Letters (NSLs). In June 2013, Google, Facebook, Twitter and Microsoft called on the US government to allow them to publish greater detail about requests they receive to hand over user data. Early in September 2013 the companies announced plans to sue the government for the right. Now Yahoo has applied to the FISC for permission to provide a breakdown of these figures to show how many requests are received under specific national security statutes. The US government currently prohibits companies from disclosing this information. 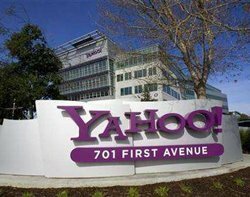 Yahoo general counsel Ron Bell said the company believes the US government can protect public safety without preventing internet companies from disclosing the number of national security requests they get. “Ultimately, withholding such information breeds mistrust and suspicion, both of the United States and of companies that must comply with government legal directives,” Bell wrote in a blog post. In July 2013, Yahoo won a legal battle to have papers from a key 2008 court case declassified and published to prove the company’s opposition to the Prism surveillance programme. Shortly afterwards, the US government announced it would publish aggregate annual data about its requests for phone call logs and internet chats. Yahoo’s Ron Bell said this was an important first step in the direction of the US leading the world when it comes to transparency, accountability and respect of civil liberties and human rights. “Granting our petition for greater transparency around national security requests for user data is a critical second step,” Bell wrote.